Plymouth Devils promoter Mike Bowden looks set to remain in charge of the club after a bid by a four-man consortium hit a major stumbling block. The consortium with Bowden to take over the reigns. 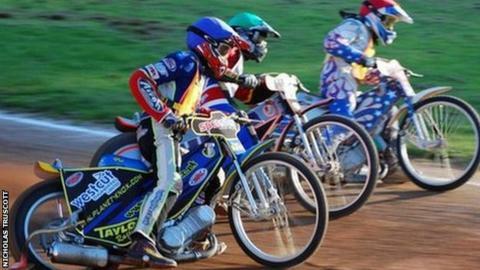 But landowners St Boniface College have stalled on granting a new lease to continue speedway past next season. The college are looking to sell the land rather than keep a sitting tenant. The consortium has enquired about the possibility of buying the land but the college appear to be holding out for a higher price. If a deal can be resurrected it must be completed by 19 November when the Devils must declare their intention to run in the 2013 season. The news not only puts the takeover bid in serious doubt but could also leave the club without a home when the existing lease runs out in March 2014.